Hurricane season begins June 1, and even more than usual, Virginia farmers will be keeping an eye on the weather. Sturgis knows all about weather surprises. His farm on the Eastern Shore is located between the Atlantic Ocean and the Chesapeake Bay, and he has been battered before and “could be again,” he says. “Check your buildings” is his number 1 piece of advice to his fellow farmers. 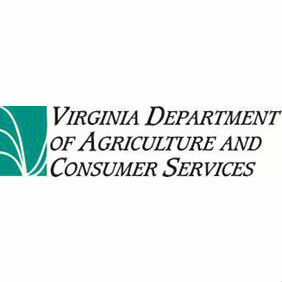 With memories of Hurricane Matthew still lingering on the East Coast, the Virginia Department of Agriculture and Consumer Services (VDACS) urges all farmers to prepare for summer’s hurricanes and other dangerous storms. Scientists are predicting 11 to 15 named storms in the Atlantic basin this year. Of those storms, four to six could become hurricanes. The Atlantic hurricane season typically runs June 1 to Nov. 30, but this year has already seen one tropical storm, Arlene, that made a brief appearance in April. Planning helps farmers protect their families, workers, animals, equipment and buildings. Livestock operations should maintain emergency plans that address power needs and on-site feed capabilities, as well as identifying places to relocate animals from low-lying areas. Farmers and businesses should review insurance policies to ensure they have proper coverage, including wind, hail, flood and catastrophic coverage if necessary. Some coverage takes 30 days to go into effect. For more tips on disaster planning specific to farms and livestock, see prep4agthreats.org/All-Hazard-Preparedness/farm-emergency-preparedness-plan. VDACS also reminds pet owners to think now about how to care for their animals during a hurricane or severe summer storm. For more tips on preparedness plans that includes your pets, visit ready.gov or humanesociety.org/issues/animal_rescue/tips/pets-disaster.html.